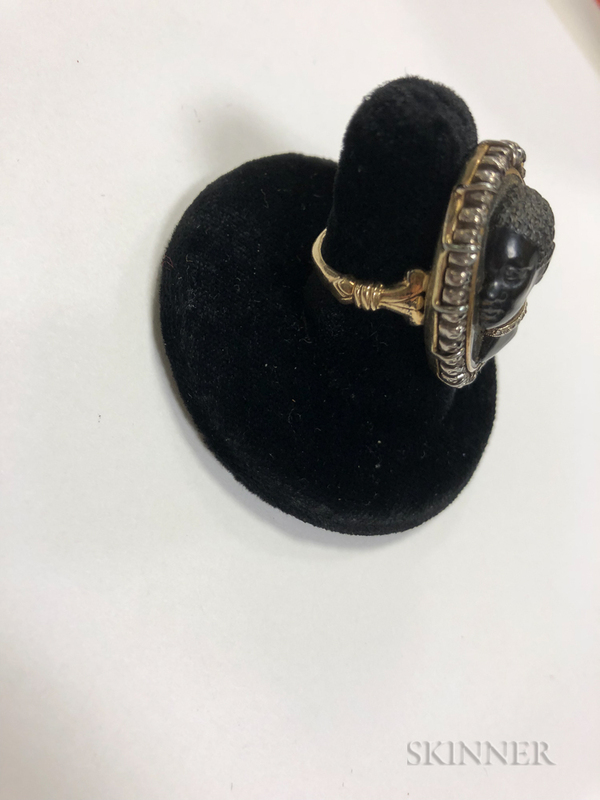 Antique Blackamoor Ring, the hardstone cameo with diamond collar, framed by old mine-cut diamonds, silver-topped gold mount, 1 1/8 x 7/8 in., joined to a later shank, size 6 1/4. 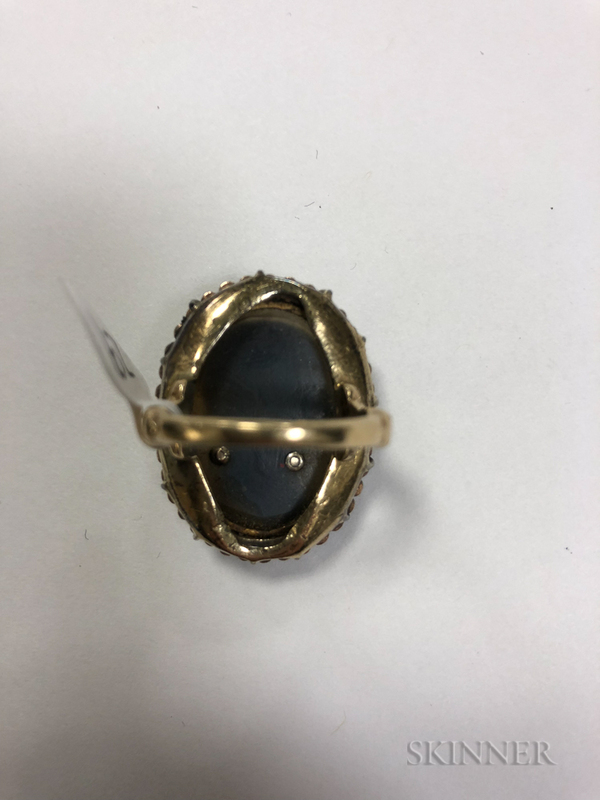 Later ring mount possibly converted from a brooch. Minor overall wear, surface grime.